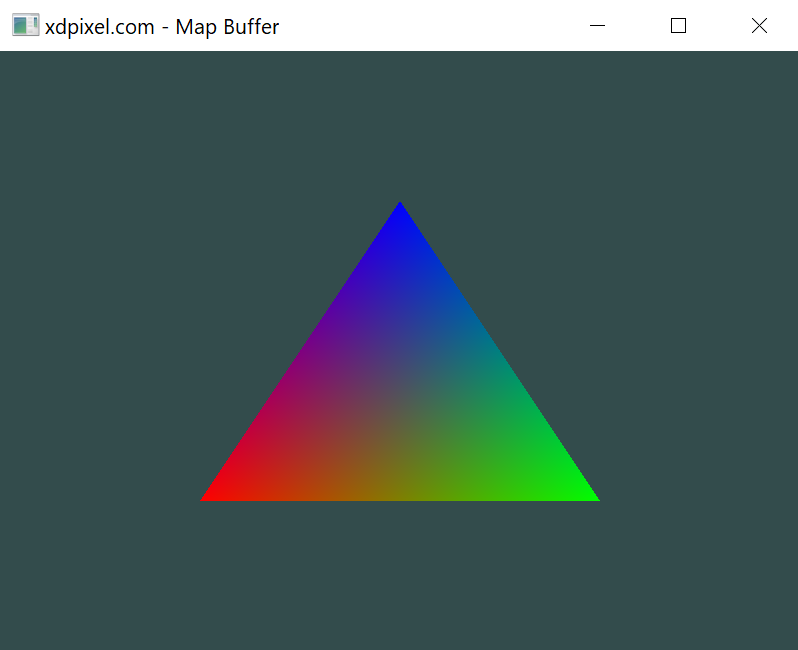 Demonstrate how to map data from the CPU to a buffer that lives on the GPU. This sample is based on the learnopengl.com tutorial. // Allocate enough memory to hold our vertex buffer. // Don't forget the GL_MAP_WRITE_BIT! // Map the vertex data from the CPU to the GPU buffer. // Position Attribute. The offset is 0 since the position is at the start of thr array. // first vertex position which is of size 3 * sizeof(float).